Naspers: Should you get in or out? Cape Town - Naspers, frustrated that investors give it no credit for its investments other than a stake in Chinese Internet behemoth Tencent Holdings, is considering listing some businesses on the stock market to highlight their value. Naspers raised $9.8bn this week selling a slice of its Tencent shares and plans to use the money to accelerate the growth and scale of its e-commerce businesses, which could potentially be listed. Even after the sale, the value of Naspers’ Tencent investment, about $159bn, dwarfs the SA company’s market value of $121bn. That means investors see no value in Naspers’ payment services, food delivery and classifieds operations. “It is a priority for us to reduce the value gap,” CEO Bob Van Dijk said in a phone interview on Friday. The problem is one that many chief executives would dream of having: Under Koos Bekker, Van Dijk’s predecessor as CEO, Naspers invested $32m in Tencent, the operator of the WeChat messaging service, in 2001, and the stake has grown so much that it’s come to dominate investors’ perception of the company. 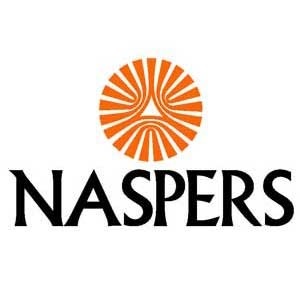 Naspers owns 31.2% of the company after this week’s share sale. Van Dijk is looking to close the discount by turning his other investments, such as the Romanian e-commerce platform eMAG, profitable. Naspers has invested as much as $10bn in its online businesses at a return rate of 23%, excluding Tencent, he said. “The return has given us the confidence that we can build even larger and more profitable e-commerce companies, and the sale of shares was done to get funds to deliver on that strategy,” he said. The publisher of SA newspapers and operator of pay-TV services has spent more than $2bn over 12 months on acquisitions and organic growth, the CEO said, with the food-delivery business consuming $1bn. Naspers invests in sectors that it has a grasp on and where it experiences good returns, according to Van Dijk. “We see further opportunity in these sectors,” he said. Solutions to the valuation gap with Tencent must be structural and long-term, Van Dijk said. “We don’t want to implement short-term decisions that will deliver a reduction of the gap, but is actually not the right decision for the company going forward,” he said. Buying back shares is a consideration once the company starts producing excess cash. “At the moment we are consuming cash and we don’t think this is the right time to buy back our own shares,” said Van Dijk.